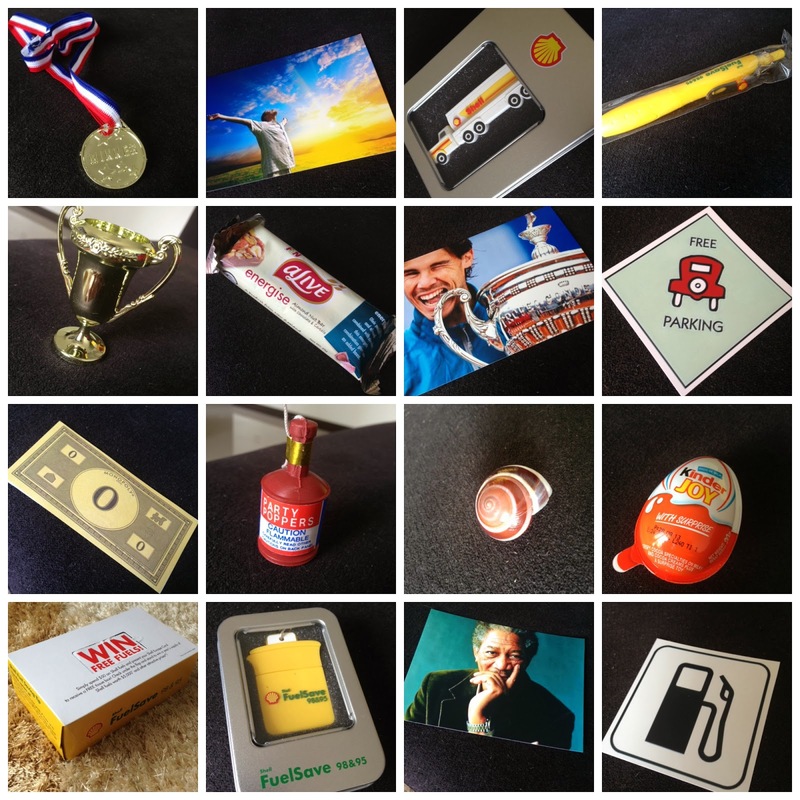 A Thing (or Two) About Holly Jean: Win Shell Fuel Voucher, Guess the Answer! Win Shell Fuel Voucher, Guess the Answer! Hello!!! Do you drive? 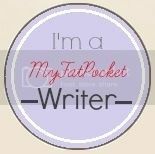 If you do, I got a $50 Shell Fuel Voucher + a Shell Pen and Thumbdrive to give to you. Here are 16 items. Group them into 4 groups in a way which makes sense to you (so that's 4 items in a group). Each group represents a word.... put the 4 different words together to guess the Slogan. Submit your answer as a comment on this Photo above which is on my instagram (@hollyjean69) . Hurry! First correct answer wins! If you don't win in the contest above... don't fret. 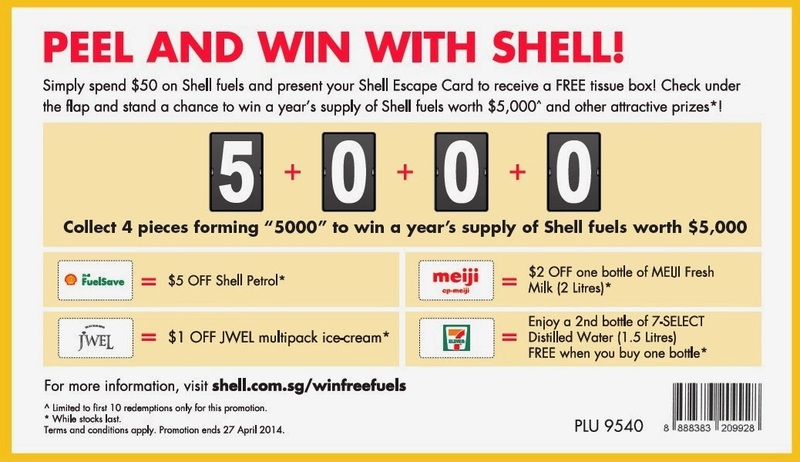 From 3rd March to 27th April 2014, drivers will receive a free Shell tissue box by simply spending $50 on Shell fuels and presenting their Shell Escape card. Non-Escape members can sign up at any Shell station. Peel the flap on the tissue box and redeem a variety of instant prizes. It could be a $5 Shell fuel voucher, $2 off Meiji milk, $1 off JWEL ice cream and 1-for-1 7-Eleven Distilled Water. 10 lucky winners will also stand a chance to walk away with the grand prize of a year's supply of Shell fuels worth $5000 each, by collecting 4 tabs that make up the figure 5-0-0-0. For more information on this promotion, go to the Shell website.